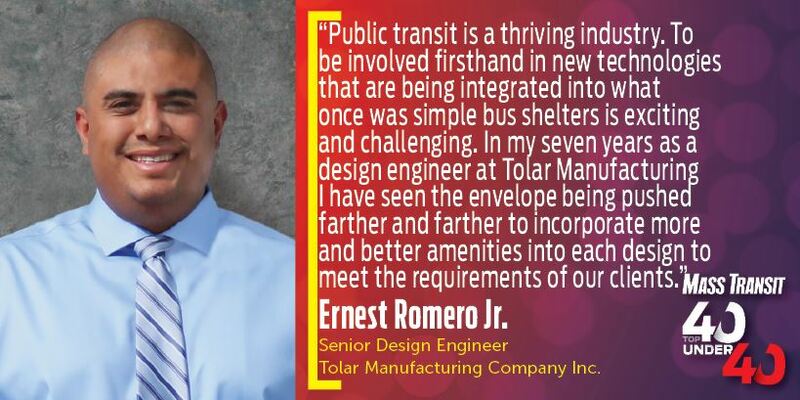 Mass Transit, the only magazine exclusively dedicated to public transportation, announced its 10th annual Mass Transit Top 40 Under 40 list last week, which included Tolar Manufacturing Company’s own Ernest Romero Jr. 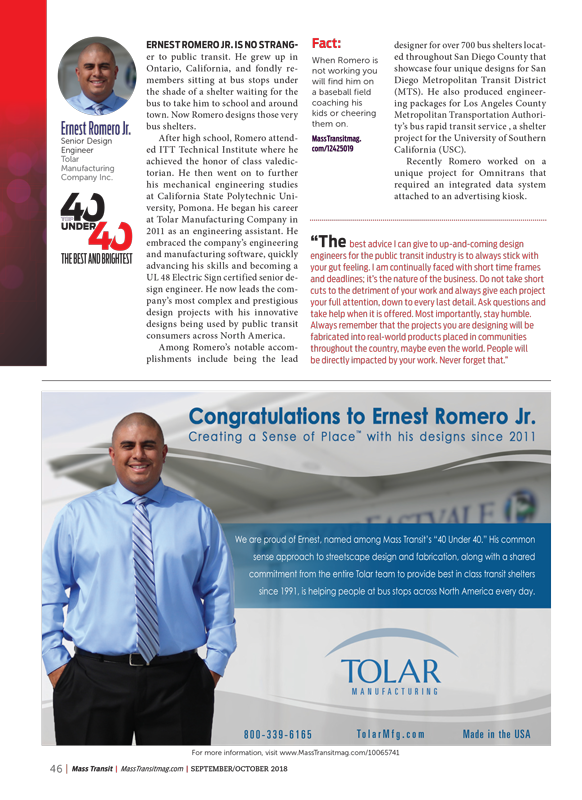 The Top 40 Under 40 honors those professionals who have made significant contributions to the public transit industry. Honorees were nominated by their peers and judged on criteria that included job commitment, industry involvement and contribution, achievement in his or her position and innovation in his or her field. 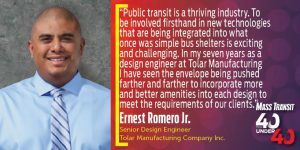 Winners are being showcased in the September/October cover feature of Mass Transit magazine and online at www.MassTransitmag.com.